Let me start by saying that Death Valley is one of my favorite parks in the country. Something about its desolation and away from people drew me here. With many years of turning pages in National Geographic magazine, it was that moment of driving into the park that finally came true. The trip was an easy two and a half hours from Las Vegas. With no traffic, the Sun was trying to heat the land below, but it was a comfortable 70-75 degrees Fahrenheit here for most of the park. 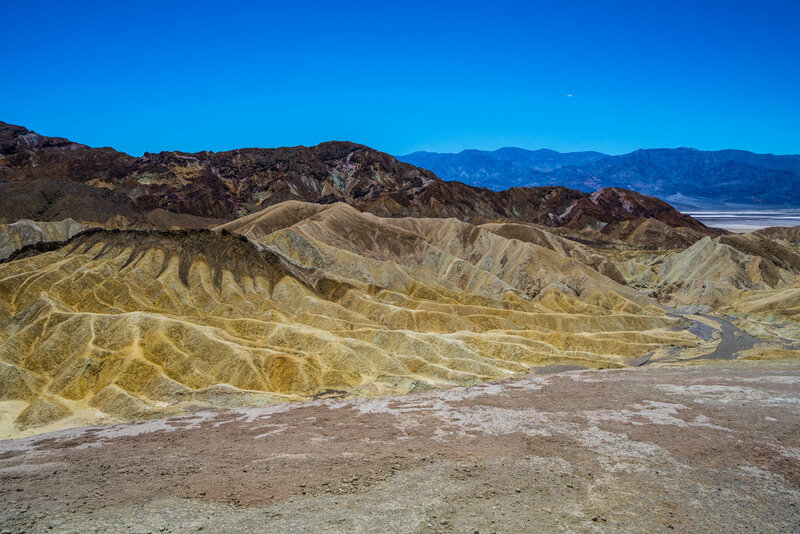 Here in this photo at Zabriskie Point it is geologically crazy. This was created by violent water, and volcanic activity. Three to five million years ago before the deepest part of Death Valley was formed, this used to be filled by shimmering lakes with a long mountain-rimmed valley here. Driving past Furnace Creek seemed that there were lakes, but it was just a mirage from the heat. So weird how distance, and heat waves can make you believe that there is water. Driving to the Visitor Center is always a must to stamp our passport book, and learn more information and long history about the park. We now entered an area where we were once 4000 feet up a few miles behind, we are now 190 feet below sea level and the temperature went all the way up to 96 degrees. Not hot in this dry climate, but you still have to have plenty of water in this park. I learned so much. This park has so much life. From coyotes to an endangered species of fish that still live here. Since the park has been going through a drought for centuries, this species once had vast numbers. We also learned about the Timbisha Shoshone Indians who have lived here for centuries and the artifacts collected here. The Furnace Creek Visitor Center had a huge theater, and played a film about the park but with time ticking by, we decided to leave and explore more of the park. With Charlotte not feeling so well from the night before in Las Vegas from two very strong vodka cranberries, she stayed low and tried to keep cool in the air-conditioned rental car, while I ventured out to the sand dunes. The Sand Dunes here in Death Valley National Park are so massive, compared to the people in the distance. Even though the temperature was an up and down ride given with the dramatic elevation changes, the car said it was around 90F (32C) here and 70 degrees back a few miles prior, It was a perfect day to walk around and explore the Dunes without being torched to death. 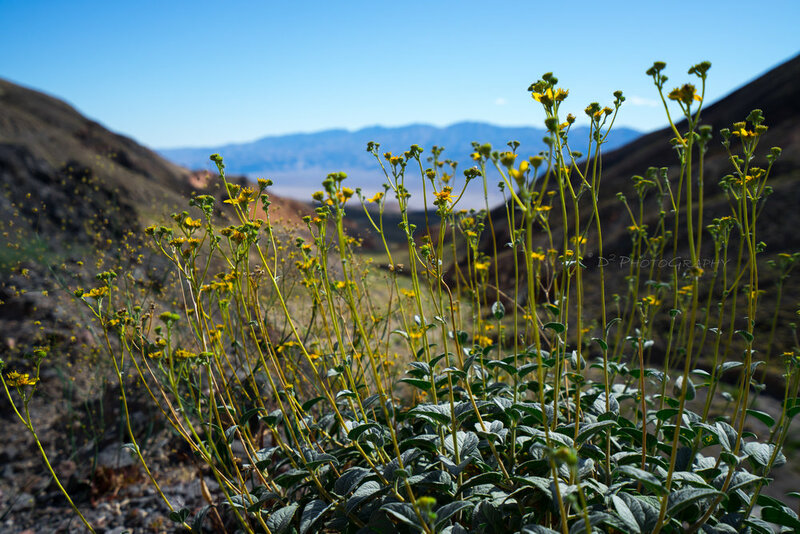 Here in the shot below, you might think that Death Valley National Park is full of nothing, and lifelessness, but it's actually full of life. Wildflowers were blooming all over here during the spring. These two shots below are by Rainbow Mountain, and it exceeds its name as the sun was ready to set in the next hour. Soon after leaving Towne Pass , there was something prancing in the distance. A car in the distance was braking according to their red lights, so I then decided to drive much slower at 20 M.P.H. Trying to figure out what this thing was, and as it got closer, it clearly was a mother coyote. The temperature was dropping, and being that this is the time when they come out of their dens to go hunt, and scavenge for food. This was normal. Not exiting the car, I was able to shoot this shot from my window. Such a cool experience, but I had to quickly close the windows, because you never know with wild animals. Remember to never feed the animals. Keep them wild. After the encounter, I kept driving out of the park with so many views, cool rock formations, and overlooks to check out. With time alluding, and rest room breaks needed, we stopped at this ghost town rest stop. I was trying to find a Joshua tree to photograph around the park, but luckily there was one right here. Woohoo! Remember, when you visit, you are contributing to helping parks stay open by spreading the word to millions, and educating others the importance of our national parks. 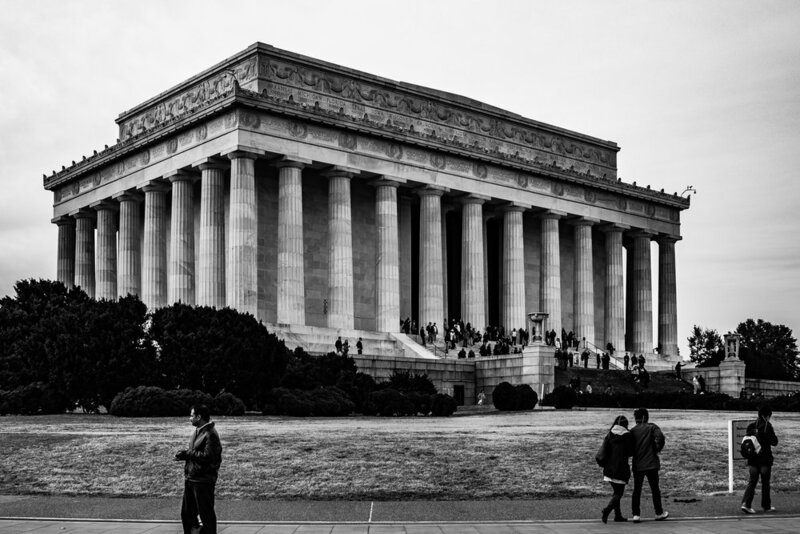 Please Donate here and 100% of the proceeds will be donated to The National Park Foundation. 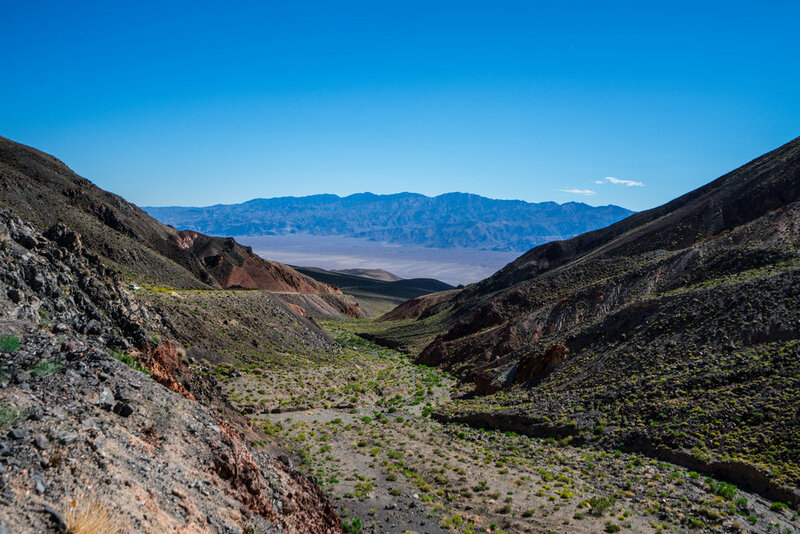 Death Valley is generally sunny, dry, and clear throughout the year. Winter and spring (October through April) are mild with occasional winter storms and a chance of spring wildflowers. Winter requires warm clothing and light to medium jackets. As the temperatures rise in spring, shorts and light clothing are enough, but higher elevations can still be chilly. Summers are extremely hot and dry. Daytime temperatures may exceed 120°F and nights remain hot with overnight lows in the 90s. Outside activity is not recommended at that time of year, except in the mountains. Plan to keep to the main roads and use your vehicle's air conditioning. It is very important to drink water year round. Always carry water with you and keep an abundant supply in your vehicle in case of emergency.